Our online database app creator, which is built over Google App Engine for use with Google Apps, now allows users to define and use List fields. In this blog post, we will showcase this new feature by adding 2 list attributes to our sample Property Management app. We will add a new attribute to list down the facilities available in the managed properties in our database. When adding the attribute select the Data Type as List (with String values). Defining a new attribute with the List data-type will result in a simple text-box for data-entry where one can enter comma separated values. These values will be parsed and stored as a list in that entity instance. In our case the facilities can be something like Covered Car Park, 24x7 Security. This will get stored internally within Google App Engine's data-store as a list value with two items, [Covered Car Park, 24x7 Security]. 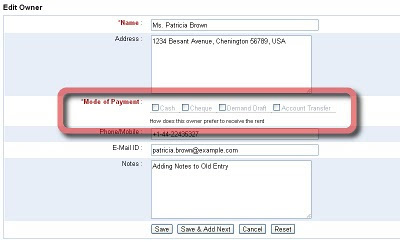 We will be coming up with auto-complete to help fill in list fields in forms, at a later date. One can also specify the choice values for the List. When choice values are provided, the form will have a list of check-boxes - one each for each choice value. Making use of choice values also enables creating Custom Views based on this attribute, as well as including them in automatic chart view options. We will define a List attribute to store the preferred mode of payment for the Owners, as shown below. 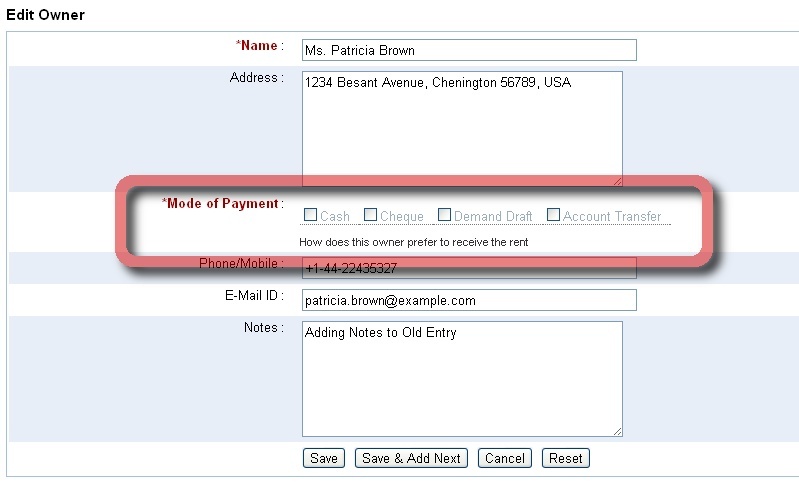 The form generated, for this List property with choice values, will have check-boxes for each of those choice items. The user can select one or more values, each of which will be added to the List field of that record instance. 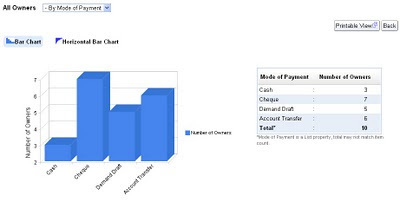 The chart view will make use of the choice values to generate the Bar charts. Notice that the total need not match the number of records because each record may have more than one value. For this reason, the pie-charts have also been disabled. Hope you find the List data-type useful in your online database app over iFreeTools Creator. Do let us know your suggestions and feedback.